When you shift your perspective, even familiar locations can take on a whole new meaning. That’s why you’ll find even long-time locals heading up to the 94th floor of the John Hancock Center to take in 360 Chicago. 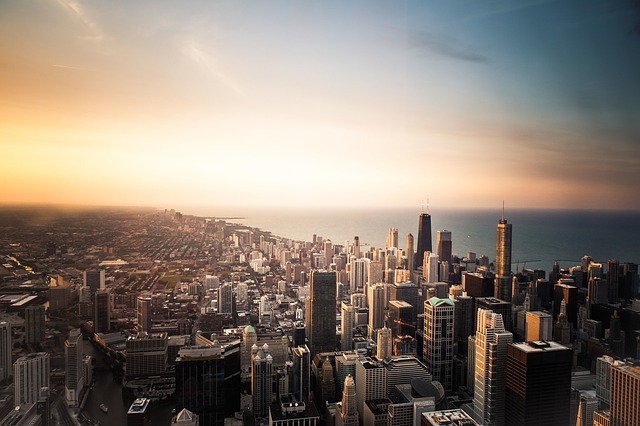 Offering stunning views of the celebrated architecture of the city, as well as the full sweep of Lake Michigan, the observation deck towers 1,000 feet above the Magnificent Mile. In addition to the breathtaking vista (which Travel & Leisure calls one of the nation’s best), 360 Chicago also features interactive history exhibits and the city’s tallest bar and cafe. If you’re feeling up to it, you can even experience the TILT experience, an enclosed, tilting viewing platform that allows you to get a view of the city that you’re guaranteed to have never seen before. You can purchase a day pass or an hourly ticket on the website—Chicago locals get a special 50% resident appreciation rate.